Yep, it’s ginger again. Can you sense a theme here? 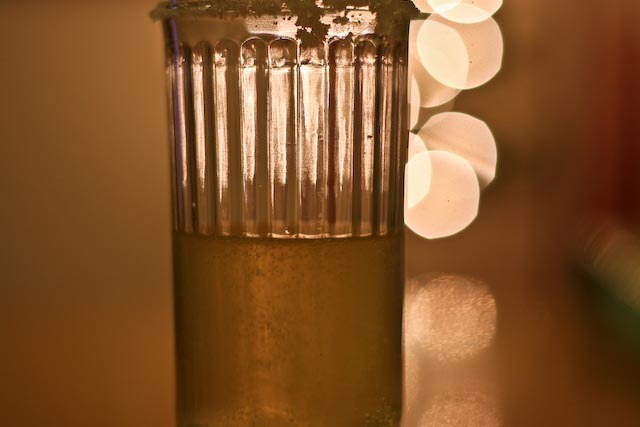 Ginger is one of my all-time favorite spices, and when I saw this cocktail recipe, I had to give it a try. And just as I thought – delicious! And as a bonus, these puppies are only 150 Calories a pop! I’ll drink to that. The simple syrup only takes about 15 minutes to make, and yields about 20 tbsp or so of finger-licking gingery goodness (so grab another bottle of champagne or wine and double the recipe!). I cheated a little bit. I used a dry sparkling wine from Argentina for this drink instead of champagne. 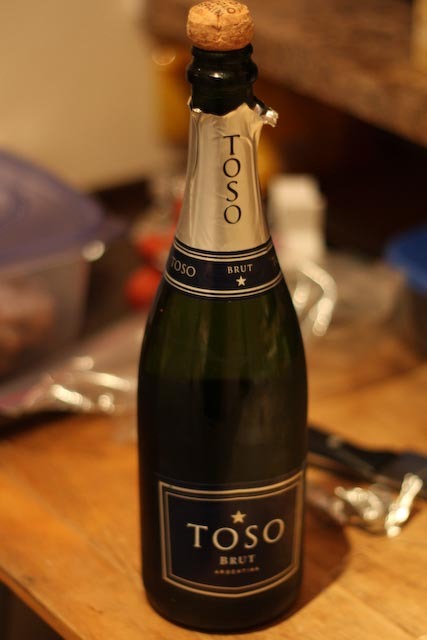 Personally, I think prosecco, cava, or any other sparkling wine is great for this drink. Relatively inexpensive (but still dry!) champagne would also work, but I don’t recommend using the really good stuff for this. Just look at those bubbles. Yum. I don’t have champagne flutes (I’m not cool like that), so I just used whatever small glasses were available (people really only care about the drink anyways, right?). Enjoy! Adapted from the recipe by SELF Magazine. 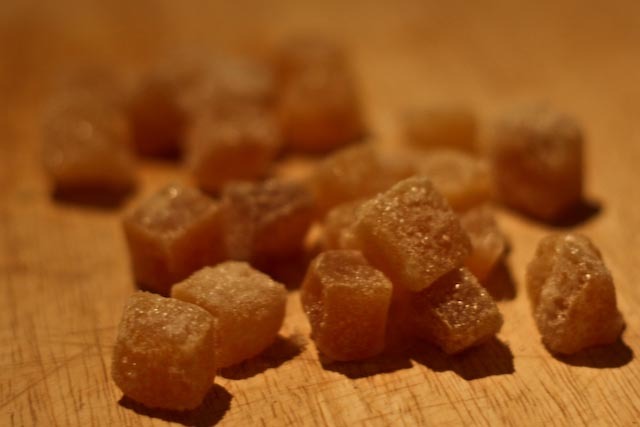 In a small saucepan, bring the ginger, sugar and 1/2 cup water to a boil. 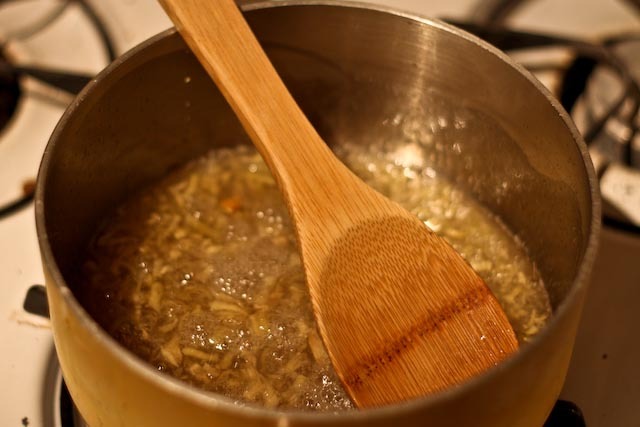 Reduce heat to a simmer, and cook until the liquid thickens to the consistency of maple syrup (about 15 minutes). Remove syrup from heat and let cool. 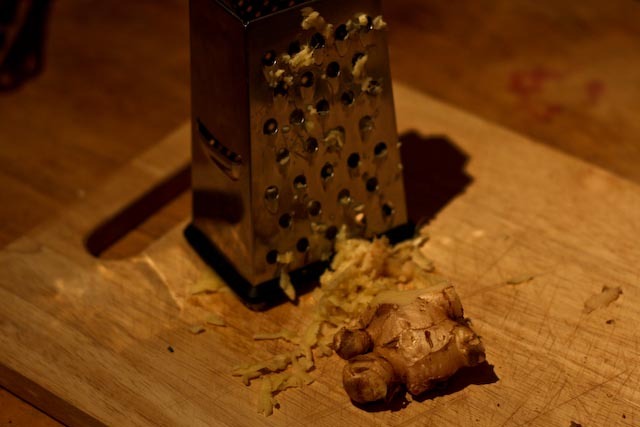 Strain the syrup and discard the ginger. Sprinkle about 2-3 tbsp of sugar in the middle of a shallow plate. 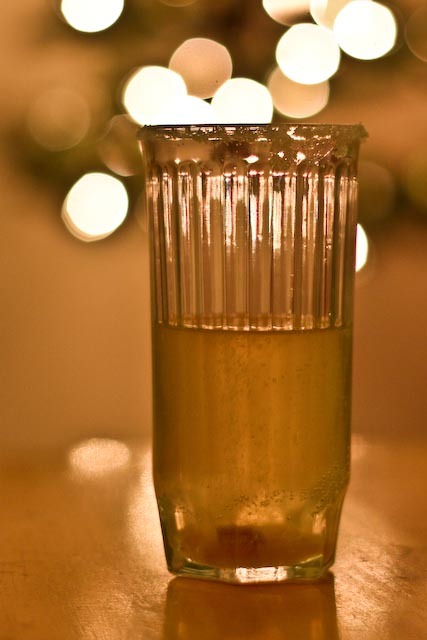 Moisten the rim of Champagne flutes or small glasses with water and dip in the sugar to lightly coat. 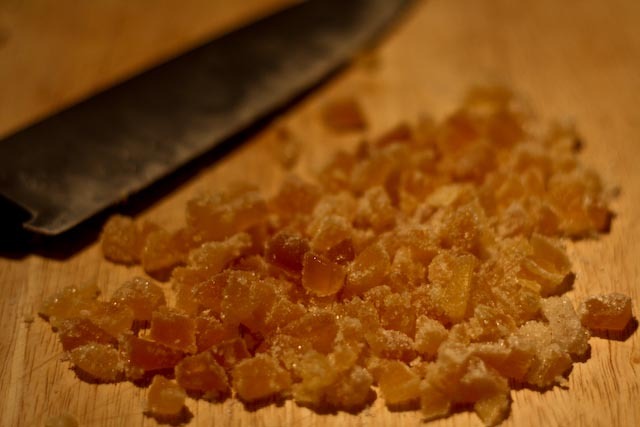 Drop approximately 1 tsp of candied ginger into each glass. Add 1 tbsp syrup and about 3 oz Champagne to each glass. 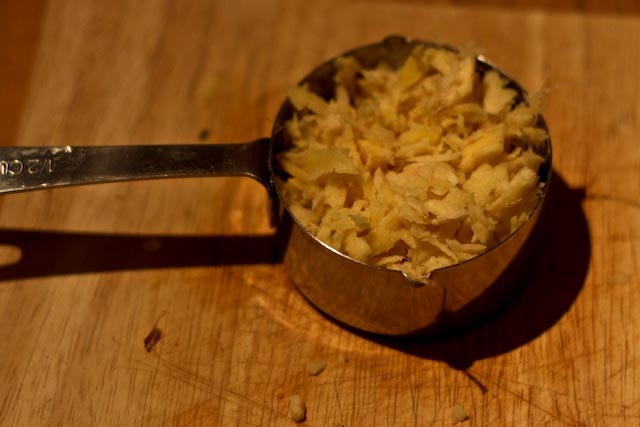 If you don’t grate your ginger and rough chop it, then spread it out to dry for a few hours, then toss them in a bit of sugar to coat, you’ve just made candied ginger.